Located in almost all experiences, sound goes by many names. Arrays of lexicons are used to describe its many manifestations. They categorise it, sorting sonorities from noise, distinguishing accidents from intentions. These words, often sat in silence on a page (like this one), set expectations and limitations on what you hear, their hegemony of communication extends to the level of personal thought to all too often become the final arbiters of 'true' meaning. How many composers or musicians work without employing words first? Arguably, even the simple decision to make a specific style of music is already adopting limitations, blocking out areas of possibility before any sound is made. But to enter into the world of sound unbidden would seem like an oxymoronic quest – to be at once undisciplined by conventions, yet disciplined enough to create while avoiding the comfort zones of predefined ideas or patterns. Laniakea's debut album does just this. A Pot Of Powdered Nettles, the first collaboration between Zu's Massimo Pupillo and Grumbling Fur's Daniel O'Sullivan, has four "heart songs" that knowingly pave their own aural pathways beyond musical instruction. And yet, unlike many of those whose music deliberately steers clear of the winds of convention, Laniakea's compositions are touching, human, engaging and accessible. This is perhaps the result of the work being strongly based on "extra-musical" concerns. 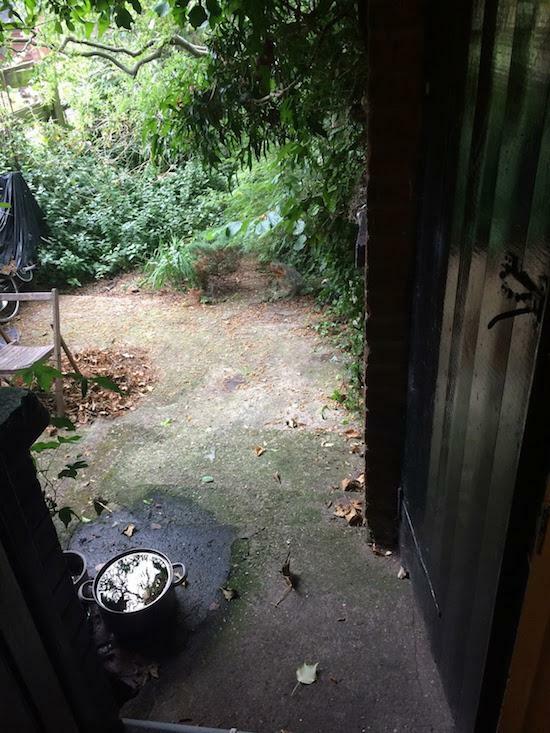 The album focusses most explicitly on the loss of the artist Ian Johnstone in June 2015 and, with him, 147 Tower Gardens, the house-turned-autonomous zone he had created in London where O'Sullivan lodged and where A Pot Of Powdered Nettles was recorded, along with the Grumbling Fur albums Glynnaestra, Preternaturals and the upcoming Furfour, as well as work by O’Sullivan’s other projects, Ulver, Æthenor and Mothlite. The results, while clearly born of the sadness of fond farewells, have deep, magical qualities that provide a palpable, joyous ascension or a kind of remote viewing but in the sonic plane. 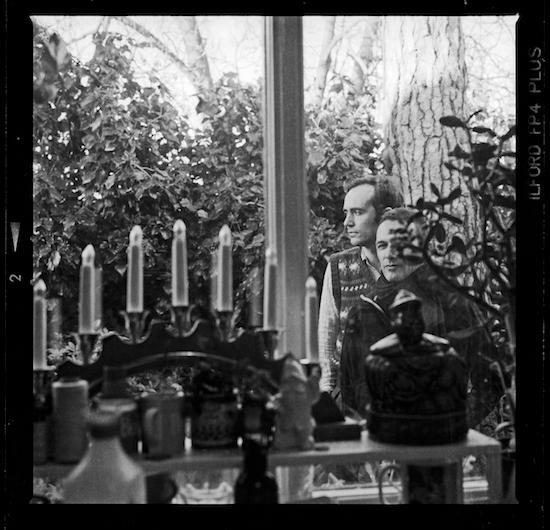 We talked to Pupillo and O'Sullivan about how they let the aftermath of Johnstone's passing, and particularly the house itself and the objects it contained, direct them in a free-flowing creative process that sewed both heartfelt song and environmental recordings into moving layers of acoustic, electronic, traditional and modern instrumentation. Massimo Pupillo: Yeah, we [Zu and Guapo] played [on the same bill] in Madame Jojo’s [in London, March 2008]. DOS: …and then we ran into each other on a few different occasions. I remember Massimo sending me an email from Tibet saying he was up in a cave somewhere, being very still. We found we had lots of shared affinities that we'd never really talked about before. DOS: …arriving more from a sense of the totality of things. We got together and started recording some music at Tower Gardens and then we let the material sit for a year. Then Massimo came to visit just weeks after Ian died; the house was pretty much all in boxes and we decided to do some more recording and [A Pot Of Powdered Nettles] was the result. Dan, how did you first meet Ian? DOS: I first met him through James Hollands, who was the curator of the Horse Hospital gallery in London. James was working on a sound/performance-based project called The Penalty For Harbouring Partisans, which involved Ian and François [Testory, the dancer and performer]. I was focusing very much on my band at the time, Miasma & The Carousel Of Headless Horses. We did a performance together at this theatre bar called The Lion & Unicorn in Kentish Town – Ian did his static levitation piece as Mr Todd and I was just completely stupefied by it; he was able to channel this deep, ineffable power. After that we became great friends. 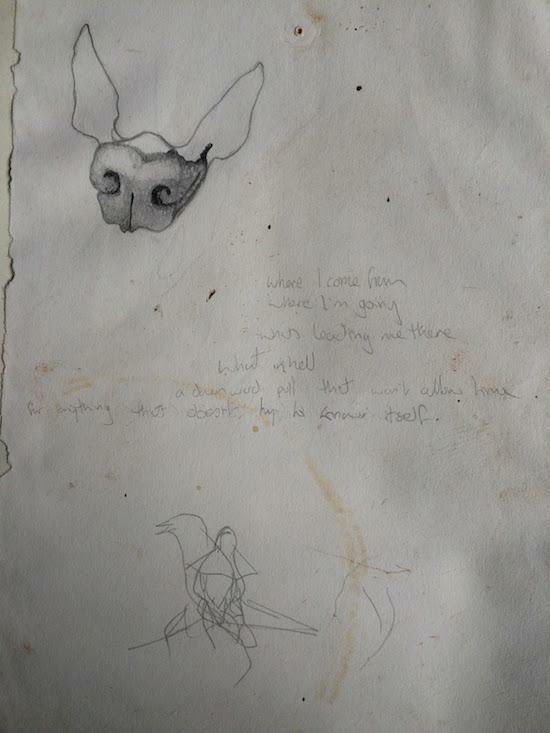 When Geff [Burton, the birth name of John Balance] died Ian moved to Spain and I didn't see all that much of him, but when we reconnected after a few years we started to collaborate. Like François’s, I have often felt ignorant of Ian's work. DOS: Well, you can't be blamed for that because he was pretty much below the radar. He wasn't trying to cultivate a career in fine art although, if he did, I’m sure he would have been hugely successful. He thought the art world was a reinforcement of patriarchal capitalism and was therefore reticent to get involved and tended to work in quite a hermetic way. He produced a lot of work, a lot of performances, but definitely more in an outsider context and often collaborating with musicians. Really his work was his agroforestry and gardening project in Spain [Cantu Fermusu with Mikel Quirós] – that was his master stroke, which is now an agroforestry school where local kids come and learn how to plant trees. How long did you live at Tower Gardens? DOS: I lived there full time from 2010 to 2014. The house was a great refuge to me because I was going through a very troubled period and Ian offered me a room with incredibly cheap rent, sharing the house with Serena Korda, a really good friend of ours who I also make a lot of work with. We lived together and Ian would come back infrequently – it was a good gang. So was there a recording studio set up there? DOS: No, it's just a house, but a beautiful-sounding house because Ian had covered the walls in a dark panelled wood, so there was a lovely resonance there, and just a great vibe because we were surrounded by such amazing objects and such an incredible collection of things. You really did feel a great sense of quiet when you walked through the front door, like you were shutting the world away. We always called it Fur Island because it felt like there was this invisible psychic moat going around the house and when you were in you could just lock yourself away and travel inward. Massimo, how did you find the recording experience? MP: This place had a very unique and precise energy with all of its history and people who had been there; it was not like going into a recording studio, it was very distinctive and more about the freedom. Because, unconsciously, when you have had a long-term band or project, you tend to only allow yourself those ideas that apply to what you already know about the project. But with this project we didn't set any boundaries or even the idea that we would go on to release it. In the beginning it was really playful; it was just finding objects and instruments – not thinking, “I now need a harp” but there was a harp lying around – “Oh, let's use it”. “Oh, there is a fan, a ventilator, let's use it… there's a gamelan there, let's put it on the carpet and let's hit it.” And, except for some vocals, every single musical layer was played once and recorded in the moment, there were no trials… not even ideas, just a flow of playfulness. There was a moment when Ivy, Daniel's daughter, called on the phone – Daniel says to me, “She wants to tell me a story now” and it was like, “Record her! Record her!” So that’s the moment in the track [‘Calcite’] Ivy tells her story and then she laughs and we were laughing too and then it was clear how to go on: “Okay, after this story there must be a big bass line”, then it went on until the end very, very clearly – that's how it all formed. For me, personally, it was one of the most magical musical experiences I can recall. I think when you leave a lot of space and have no expectations you can really let something else happen. DOS: You leave your baggage at the door and you don't go into a process of making music with any sort of judgment or expectation. It really felt like there was a sort of guiding hand that, providing we could get out of the way and allow it to call the shots, then it was sure to be a natural, flowing, uncontrived experience. When you're improvising you do have these ecstatic experiences sometimes, but everybody has their little bag of tricks and it’s hard not to fall back on them and conform to some sort of self-designed identity that manifests in sound. But when you really do let go of control you find that there's aspects of your sound world, or the sound world, that are somehow free from the duality of deciding whether it’s good or bad or too slow or too fast, those kinds of anxieties you have when you're dealing with the construct of music – it's refreshing to let go of that. Massimo, from a bass-playing point of view, your work in Zu is heavily rhythmic, whereas in Laniakea there's no drummer to form a rhythm section with. Instead, your bass is sometimes lead, sometimes the only rhythmic dimension and sometimes you’re generating these suspended tones. It must have been a very different experience from your work elsewhere. MP: I don't look at it as a bass really, I think of it as a circuit that comprises the pedals and the amps and sometimes the room and the audience. Because if you take one element away the whole thing changes. The bass is still an under-explored instrument. In the history of rock music it has been relegated to a certain role [and] it is such a limited instrument [with just] four strings. I'm really not interested in the technique aspect of it. It is not essential and very often takes the focus away from what is really important. For me, it is more about explaining ideas, not even musical ideas, just ideas and stories. This instrument can really do anything, like a synthesiser in a way. What I'm writing for the next Zu adventures is really [using] a wider spectrum [of] broader influences. You don't necessarily want to work with an identity – of course it is more marketable but, in the long run, it is much drier and less interesting to keep on banging on the same nail. DOS: I think it's fair to say we're both in the business of self-obliteration through music. As soon as you think you have a firm idea you allow it to dissolve and you let go of it, particularly when it comes to a stylistic or aesthetic identity. In fact, you only really find out what it is when you deconstruct it; so, yeah, that's a sort of collage sensibility of having a lot of voicings coming from all over the place and not necessarily trying to shape them or try to commodify them. It keeps you in the living language… an opportunity to not be governed so much by intellect. I don't feel like the real, transcendental sound experiences I've had in my life have anything to do with intellect. MP: Also, when you perform, sometimes you enter a place that you can only define as magic. And it's not just you that's going on this ‘fairy trip’ – audience members are having the same experience, and it has really no rules, there's no guidebook for that. It creates a consciousness shift, a temporary one. A stupid example: you're on a train, you're bored, everything looks just the same and then you put on your headphones and you listen to that piece of music. The reality starts to appear different: you start to notice the shades, the greens and the clouds and all of a sudden you are immersed in it. I get this experience from certain pieces of music and there's always this mystery about them – it's not intellectual, like which intervals is this composer using or which rhythm; it's really something else, you don't know where it comes from. This thing has a life of its own and can create this shift in me while performing or in the listener, because, after all, the experience is one. DOS: It is the shared experience – [although] you're the conduit of the sound, the recipient is also in some way the author of the work, because if they weren't the author of the work they wouldn't be able to recognise it as an experience, you could argue. The more distance you can put between yourself and having any kind of objective the more likely it is to appear. The curious title of the first track (and also used in the lyrics to the second track) talks about a “superabundance“ – I wondered what it was? DOS: The superabundance is an ecological myth that we will never run out of resources, that the Earth, that Gaia, is in this perpetual state of renewal. And the “contagious magic” is the blind belief that this is the case, and the reason we're careering towards ecological disaster. If you really were aware of the Earth in a singular context, putting it into the perspective of the galaxy, for example, then you would see that it is not infallible, that it is just part of a much bigger system that is part of a much bigger system and onward. Also, it has a double meaning – the superabundance also means the space around, the incomparable massiveness of things, and how there's not much of a discrepancy between the tiniest microbe and the supercluster: the small and the infinite are inseparable. So the superabundance alludes to the myth that is ensuring our demise but it's also the space around and possibly the void that we enter into, beyond that delusion. Actually, The Contagious Magic of the Super Abundance is the title of one of Ian's paintings. And the only lyrics in that piece are this kind of chant [“E La Ko y Ah”]? DOS: The chant is a sound vibration that was conjured by a very close friend of Ian's, Heather Golding, a really amazing singer and great artist, during the memorial service that we held for Ian in the back garden. This work was just a channeling, a continuation of that devotion I suppose. The lyrics to those pieces and the people who were around, you know the ‘grief-eaters’ – the people who all shared a great love of Ian – all subliminally fed into the work somehow. Right at the end of ‘Calcite’, the final track, you recorded what you describe as the “feuding cats of Nunhead” – what's the story behind incorporating them? DOS: I think they were in heat and you know what it’s like when you're in heat – feuding goes on! I had found a new studio space when Massimo and I were putting finishing touches on the record and Massimo suggested the idea of involving François, so I invited him to the studio and recorded his contribution. When his take ended I could hear this caterwauling and we were laughing because it was quite obviously Ian taking the piss! It was almost like the cats were mimicking François in a way – it was very funny, so we left them in; clearly they wanted to be present, so we respected that.